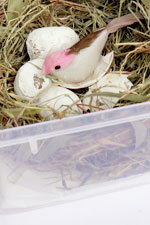 Done in advance, two nests instead of one, but that was not the end of it. Making it was only half the problem, the next challenge was to take it to school without breaking or disturbing it. The teacher should be able to see all the hard work that has gone into this. The answer was a plastic box. 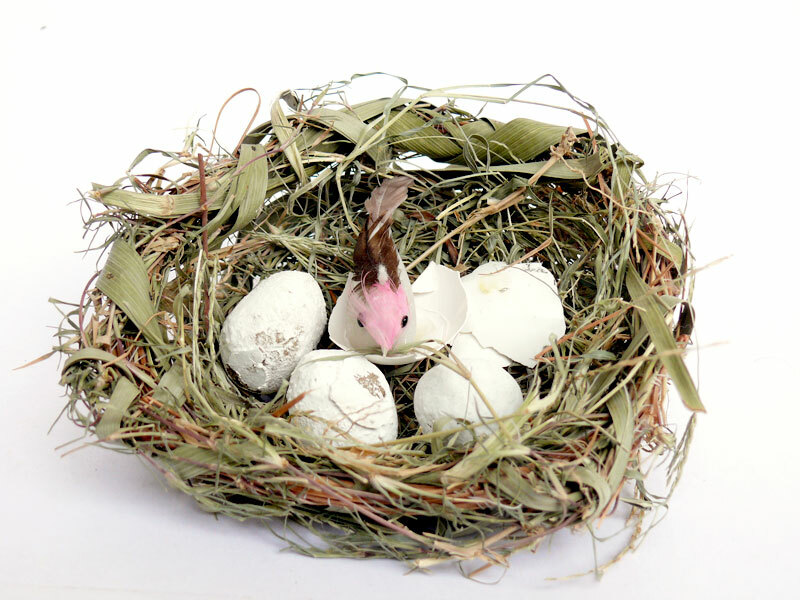 Since it was bigger than the nest, we padded the nest with newspaper and some tissues to make it fit snugly. 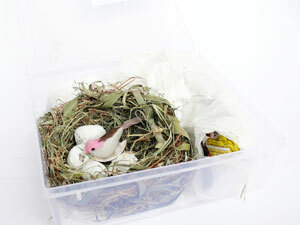 Here in these pictures you can see the nest in the plastic box. This box was the placed in a plastic bag- they way the bakers put a cake-box in a bag to ensure the top always stay at the top.